Because we want you to enjoy dancing making your life easier. It's easy: Purchase in 3 steps, register, buy tickets and add attendees. It's safe: Pay with credit card, PayPal or bank transfer. It's useful: You will always have available your tickets in your go&dance account. With #BachataSensual workshop from 23:00 to 23:30 with Alex Alberola. -700m2 Floating parquet business so you can dance more 4h. without your legs suffer. 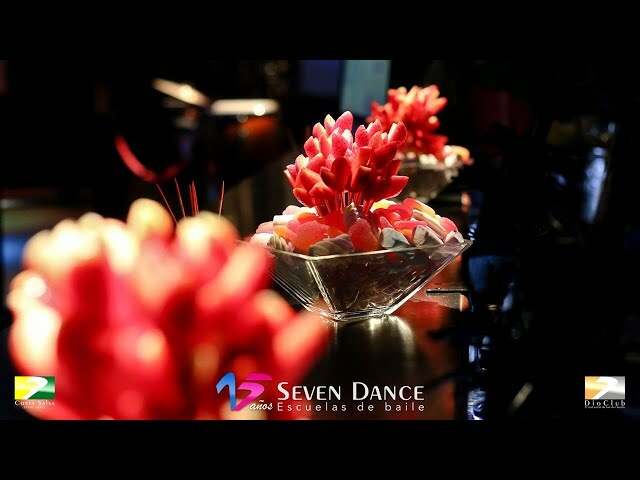 Seven Dance, thinking about the best for you and to maintain and further enhance the good atmosphere and the exclusivity of the practice sessions are called Dio Club, to enter the school, you must present the card access to the workshops , classes and practical activities. 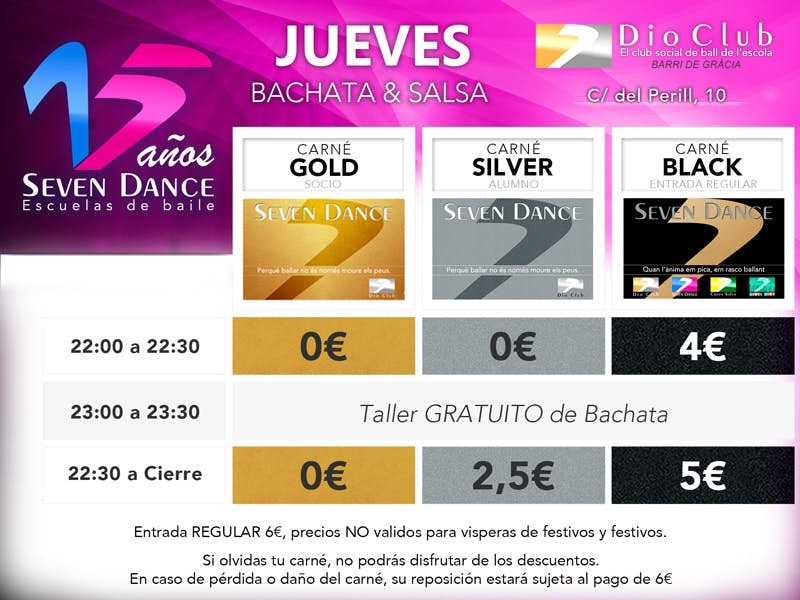 You will be given the same day that you come to Dio Club activities they do in Seven Dance Dance School. - No talc or resin cast to the ground, (could cause serious injury to others) recommend appropriate footwear. In these practice sessions alcohol is not served. THESE ARE DEDICATED SESSIONS EXCLUSIVELY FOR DANCERS, if not you dance better not come, because you would not understand. We offer more x less.